Updates over at David Barber’s Thrills, Kills N Chaos. There are a couple of tidy yarns up at TKnC at the moment from Charlie Wade and KatHawthorne, and plenty of good stuff in the archives, of course. Nik Morton’s Spanish Eye is out now! ‘Spanish Eye contains 22 cases from Leon Cazador, half-English, half-Spanish private eye. It’s just been published by Crooked Cat Publishing. The vast majority of these cases are based on true events…’ More info here. 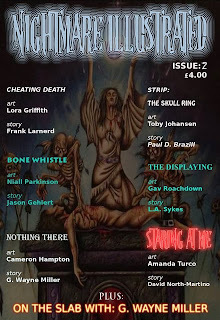 The second issue of Nightmare Illustrated- the hot new print horror magazine from Horrified Press- is out now! 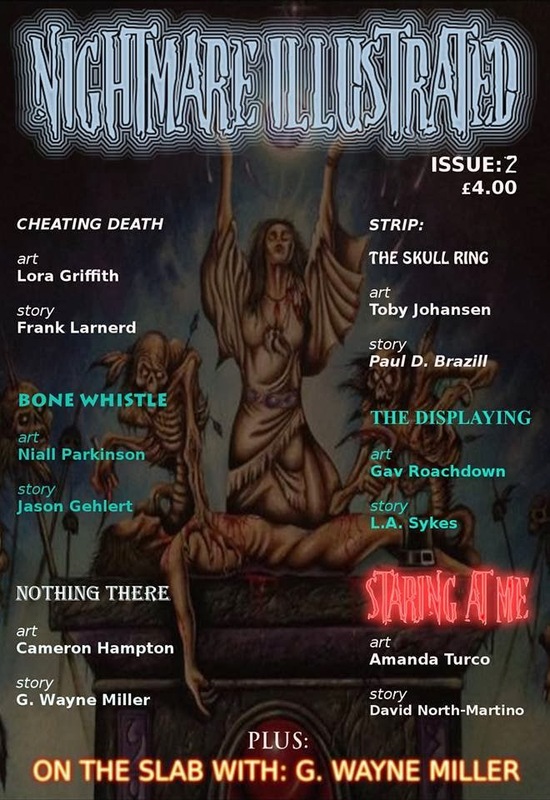 It includes a story from me - The Skull Ring - with tasty EC comics inspired illustrations from Toby Johansen. And there's more! Get it here! Over at Radikal News, Renato interviews Richard Thomas.